The ‘post partum bounce back’ after a second kid is REAL…. real tough! With my first child, the weight more or less left my body pretty quickly (minus those last 10 pounds) and within 3 months, I was back into my pre pregnancy pants. I sit here now, 8 months after my son is born and I can finally fit into my pre pregnancy jeans and am still working to evict 30 more pounds from my body. The first 4 months postpartum, I struggled greatly with postpartum anxiety and depression (you can read more about my story here) and because of that, the weight stayed on me for much longer. In January, I decided to see the impact of what I was eating was having on my anxiety and how exercising could help. I started Beachbody’s newest workout program, 80 Day Obsession. 80 day obsession is an intermediate/advanced workout from Beachbody the leading makers of home fitness products. Workouts are between 45-60 minutes and it comes with a timed nutrition meal plan to help you work your core and abs while shaping your booty. This program also incorporates what’s called Timed Nutrition. This was the component I was actually the most excited about. I loved doing the 21 day fix but I personally need more structure and guidance. This program tells you exactly which colored containers to eat at what time of day and to eat every few hours. I had to put a timer on my phone to remind me to eat because you know… kids. Now while the progress pictures I saw and the results promised sounded amazing, as a mom of 2 kids the thought of working out each day for almost an hour and having to remember to eat something that isn’t your kid’s leftovers is pretty daunting. But, I decided to take the 80 day obsession challenge head on, bust through the limiting beliefs that told me that working out for an hour was impossible because I was ‘too tired’, and do the best I could to start to use healthy foods and exercise to control and heal my postpartum anxiety. Since I was choosing to do 80 day obsession while breastfeeding (my son was 4 months old when I started), I had to be really careful that my milk supply didn’t dip. When trying to lose weight most people can simply decrease their calories in and increase the calories burned. But, for a mom breastfeeding, you need to be really careful. When calculating how much you should eat, you can use the calculation that is laid out in the program. The creator, Autumn Calabrese, recommends just staying in maintenance instead of weight loss for the program. This meant for me, plan D compared to plan F which is a difference of about 500 calories. This 500 calories comes from the average a breastfeeding mother burns while nursing her baby. This number scared me. Plan F was A LOT of food and more than I was used to. I decided, that since I had an oversupply, I would eat in my weight loss bracket and see how my body adjusted. The thing is ladies, you NEED to eat to lose weight. For so long we are told that you need to cut out food groups or eat less than 1200 calories to lose weight and it’s just false. You CAN eat a decent amount of the RIGHT calories to fuel your body. It’s all about balance and moderation, and that is why I liked this program. Over the course of the 80 days, I found plan F to work for me but I did notice on days when I didn’t drink enough water my supply was lower (so aim for a gallon a day) and my supply most definitely decreased during Peak Week. Peak Week is the final week of the program and you do what’s called carb cycling; where you have 2 days of lower carb eating and 1 day of regular ‘on plan’ eating. On the lower carb days, my breasts felt less full and I could feel my son being a bit fusier when nursing. I wouldn’t recommend nursing moms participate in peak week and, if you do, make sure you pay attention to how your body responds. I’m proud to officially say that I’m an 80 day obsession graduate! I didn’t miss any workout in the 80 days though I did move a rest day around because of activities we had to do but, I didn’t make any excuses or skip them. Besides the physical results (down 17 pounds and 12 inches!! ), 80 day obsession gave me so much strength mentally and physically. Not only do I feel so much stronger and modified less each workout AND lifted heavier each time, but my mindset has completed changed. I also busted through some major limiting beliefs about working out for an hour. 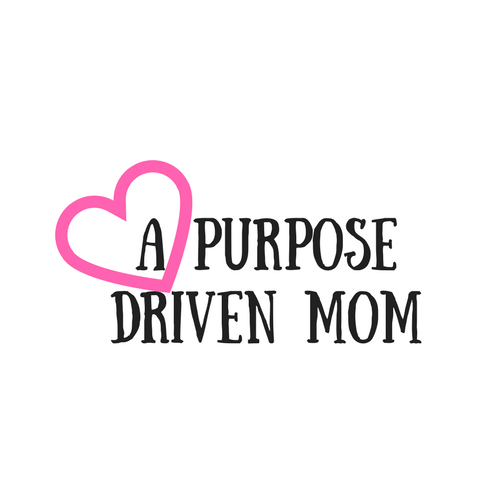 The only time I could find to get a full hour in without the kids interrupting was after bed and, as much as I didn’t want to work out at 8pm, I knew that spending that hour for me was going to make me a better mom. Previously, if I slipped up or made a ‘mistake’ during a program with my eating, I would tell myself I would start again on Monday, restart the entire program, or even switch programs because I felt like a failure. Since I had made the 80 day commitment to not only my fellow moms in the accountability group but my team of coaches, I couldn’t just quit or miss a day, I just had to pick it up at the next meal. I started to not put it off until Monday or the next day and just told myself “okay, little slip up, let’s get it back at the next meal”. I also stopped looking at off plan eating as a ‘mistake’ and just life. But what made me stronger was realizing that I could have a plan that fit into my lifestyle even if I wasn’t perfect. My nutrition was probably about 80% on point during the 80 days and I am okay with that. I learned which foods made me feel full and which ones made me sluggish. I also learned which times of day I needed more water or a snack. Oh, and a note about the scale. Get ready to break up with it. Only weigh in at the end of each phase and make sure you stop caring so much about that number. Pick an item of clothing that you want to try on each week and hold onto the non scale victories there! You might not see the number move on the scale but you’ll see and feel the difference! Is 80 Day Obsession Right for You? I’m not sure I would recommend this program as the first one that you do after you get cleared to workout since it is a more intermediate workout. Autumn also recommends that you wait until your little one is sleeping through the night because your body needs the sleep to recover and see results. When I started, my little dude was NOT sleeping through the night and I could really see the differences on the scale on the weeks I got better sleep vs when i didn’t. So just know going into it that your sleep will play an impact on your results. If you’re up for a challenge to create time in your schedule (because it will require sacrifices… maybe drop that Netflix show for a bit), putting in the time to do a good meal prep each week, and dropping all those excuses that have held you back so far you can most definitely see results! If you want any support in the program, and not currently working with a coach, send me an email at coachingwithcara@gmail.com or just fill out this form to chat more and I’d love to help you through the program or see if it’s for you. If you don’t have it yet, go and grab it HERE and I’ll coach you through! Did these tips help you??? Make sure you hit PIN IT and share with other breastfeeding mamas!